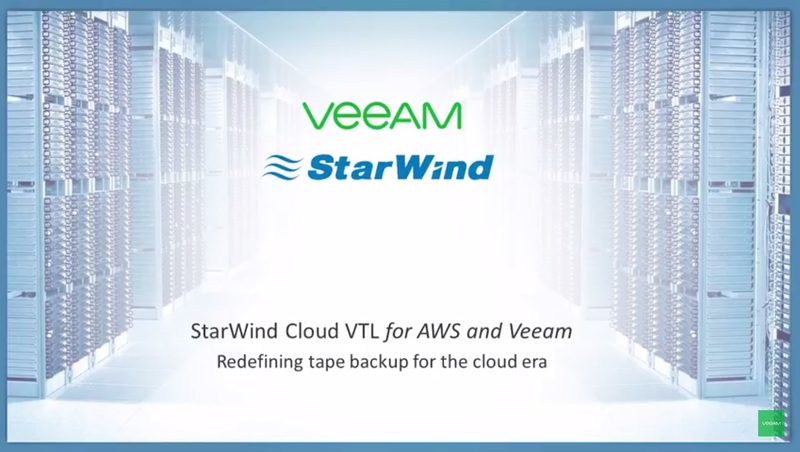 StarWind Cloud VTL for AWS and Veeam helps businesses meet regulatory data archival and retention requirements by adding cloud storage tier to their backup infrastructure ensuring the compliance with 3-2-1 backup rule. It provides an effortless integration of the cost-efficient Amazon S3 and Glacier “cold” object storage requiring no third-party software components to be installed and eliminating costly tape backup processes. StarWind Cloud VTL is integrated with industry-leading Veeam Availability Suite™ delivering fast backup and replication to AWS cloud storage and seamless data protection.